Enzo Zaccardelli remembers the B that changed his entire academic career. Zaccardelli was carrying an A in every other class. The B in physical geography lab thwarted his chance at a perfect GPA. He knew he never wanted another. So he worked even harder on his studies —and he never saw another B at Tri-C again. Zaccardelli was a member of Phi Theta Kappa, garnering numerous academic awards during his time at Tri-C, including a place on the All-Ohio Community College Academic Team and a 2015 Coca-Cola Leader of Promise Scholarship. He graduated from Tri-C in 2016 with an Associate of Arts degree and enrolled at Cleveland State University, where he continued his academic excellence while studying history and anthropology. In May, he graduated as the valedictorian of his class at CSU. With such an impressive academic resume, you might think Zaccardelli has always been a high achiever in the classroom — but he wasn’t. At Padua Franciscan High School, he wasn’t a bad student by any stretch, but he was far from a standout. Zaccardelli, 22, will take his exceptional work ethic to Columbus later this year, where he has been accepted to The Ohio State University Department of Anthropology’s graduate program. He wants to earn a master’s degree and possibly begin studying for a doctorate. At Ohio State, Zaccardelli plans to research the integration of refugees in underdeveloped regions of Italy. 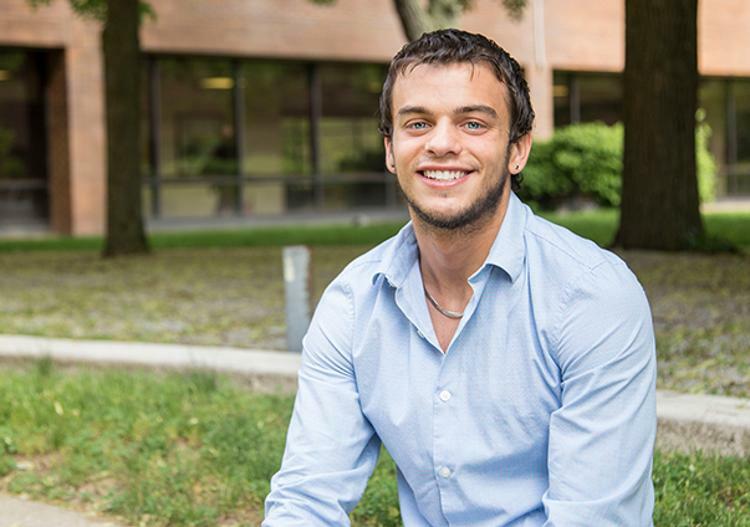 Though he will soon move on to yet another school in another city, Zaccardelli is still grateful for his start at Tri-C. And he’ll always remember that B in physical geography as the nudge he needed to begin achieving great things.